Now you can do a search to compare the rates of all Gravedona hotels by choosing your preferred dates from the search box below OR you can browse through all the hotels listed below. Location: Right on the lake and a short walk to the Castle Quarter. 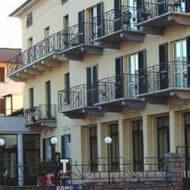 Description: A fairly new hotel with very spacious rooms with super-friendly staff. Be sure to take a lake view room which offers amazing views. 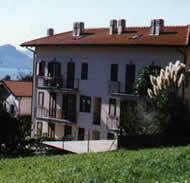 Location: Very close to the lake and 500 meters from the sailing center in Gravedona’s town center. Description: Beautifully refurbished apartments. 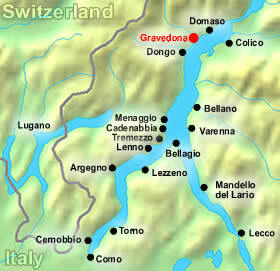 Excellent location close to all the best shops and restaurants of Gravedona. Location: Short walk to the lake in the very center of Gravedona. Description: 10 charming flats await the visitor who can grab them. 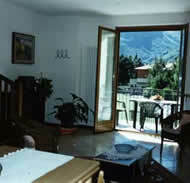 Small balconies have beautiful views of either the lake or the mountains. All guests have access to a private beach. Must arrive on a Saturday. Location: Gravedona town center on the river "Liro". Description: Beautifully furnished rooms recently renovated. You can stay here weekly from a Saturday to a Sunday. 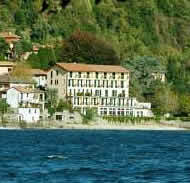 Location: On the Lake Como’s main road. Description: Spacious rooms with lovely panoramic views of the lake. This hotel includes a nice restaurant and a swimming pool. No Online Booking Available. Call +39 0344 89017 to check rates/availability. 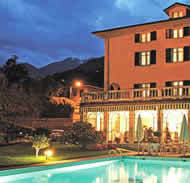 Gravedona Italy also has a few 1 star and 2 star hotels for budget travelers who don’t mind very basic rooms. English may not be spoken in many of these places.